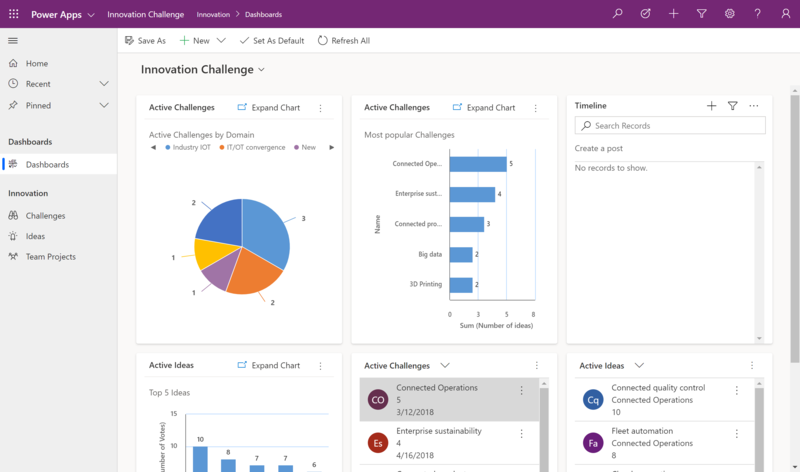 What are model-driven apps in PowerApps? Model-driven app design is a component-focused approach to app development. Model-driven app design doesn’t require code and the apps you make can be simple or very complex. Unlike canvas app development where the designer has complete control over app layout, with model-driven apps much of the layout is determined for you and largely designated by the components you add to the app. At a fundamental level, model-driven app making consists of three key focus areas. Defining and enforcing consistent business processes is a key aspect of model-driven app design. Consistent processes help make sure your app users focus on their work and not on remembering to perform a set of manual steps. Processes can be simple or complex and often change over time. To create a process, from the PowerApps.com Model-driven area select > Advanced customizations > Open solution explorer. Next, on the left navigation pane in solution explorer select Processes, and then select New. More information: Business process flows overview and Apply business logic with Common Data Service.